Product prices and availability are accurate as of 2019-04-21 04:32:48 UTC and are subject to change. Any price and availability information displayed on http://www.amazon.com/ at the time of purchase will apply to the purchase of this product. 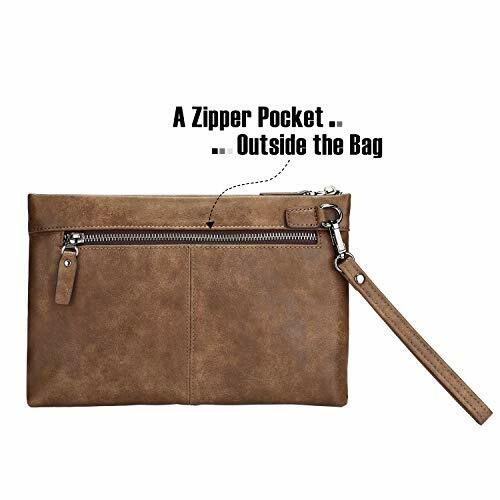 The zipper wallet is made from PU leather, which is turned out to be strong, flexible, durable and eco-friendly. Although PU leather is different from genuine leather, there are still a number of similarities with the real thing. There is a large space for you to hold all manner of stuffs. For instance, you can put more than one cell phone and several notebooks or gadgets like ID card, driving license, bank card or credit card etc. into it. 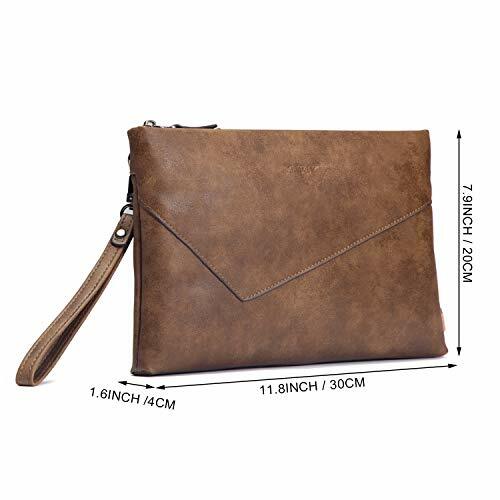 This type of zipper bag can be regarded as a good choice as gift owing to its touch sensation and extreme high texture. Plus, together with its exquisite and fashionable design as well as a unique style, it would adequately highlight your personal taste. PREMIUM-GRADE MATERIAL: The material is PU leather that is simply artificial leather and created to look and feel like leather but without having to use real animal skin. 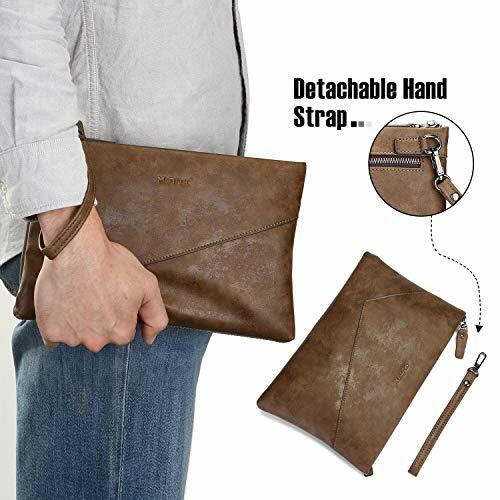 More importantly, it is more durable and eco-friendly than genuine leather. 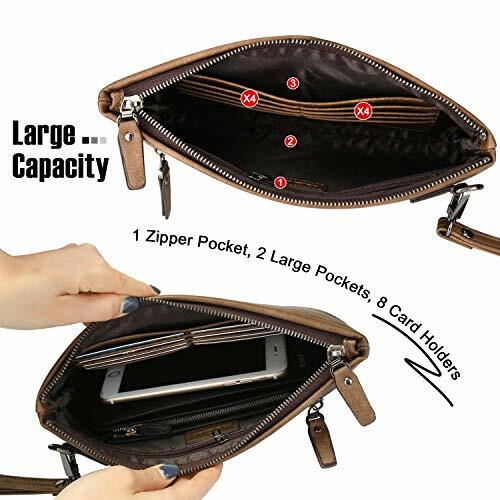 ULTRA-LARGE CAPACITY: The size of the zipper wallet is 11.9*7.9*1.6 inches, which is big enough to put more than one mobile phone and notebook, or small things like identity card, debit card, driving license and credit cards etc. 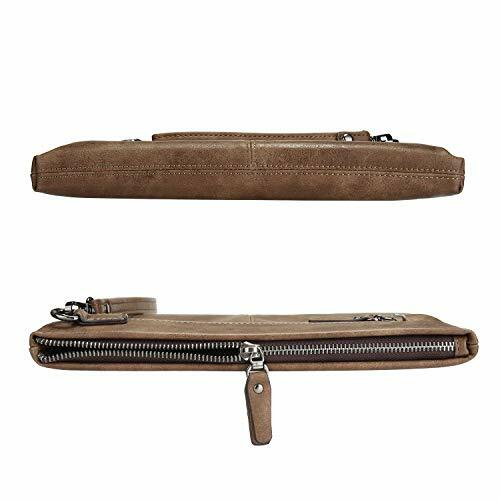 DURABLE METAL ZIPPER: The zipper wallet has a beautiful metal zipper, which looks like absolutely elegant. Besides, it can be used for a long-term period. This pretty metal zipper makes the whole wallet look nice, durable and practical. TWO WAYS TO WEAR: Either you can just put the zipper wallet into your bag or you can just take it in your hand with a useful wrist rope. Or if you feel inconvenient to wear with it, you may just take the wrist rope off. 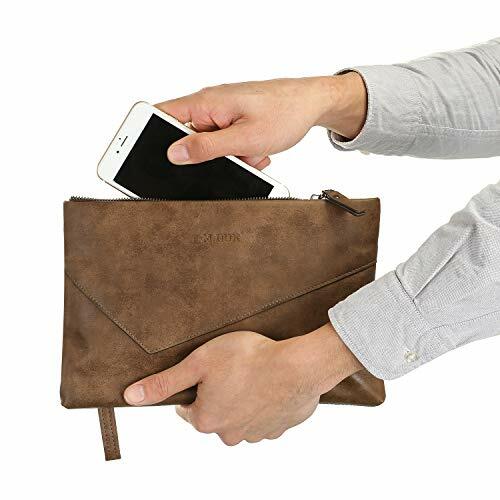 GIFT-GIVING OPTION: With its exquisite and fashionable design from the outside of the wallet, it can be chosen to be a great gift to give to your family, friends and colleague. Besides, you can take it out for business, tour or outdoor activities like jogging, walking or fitness etc.